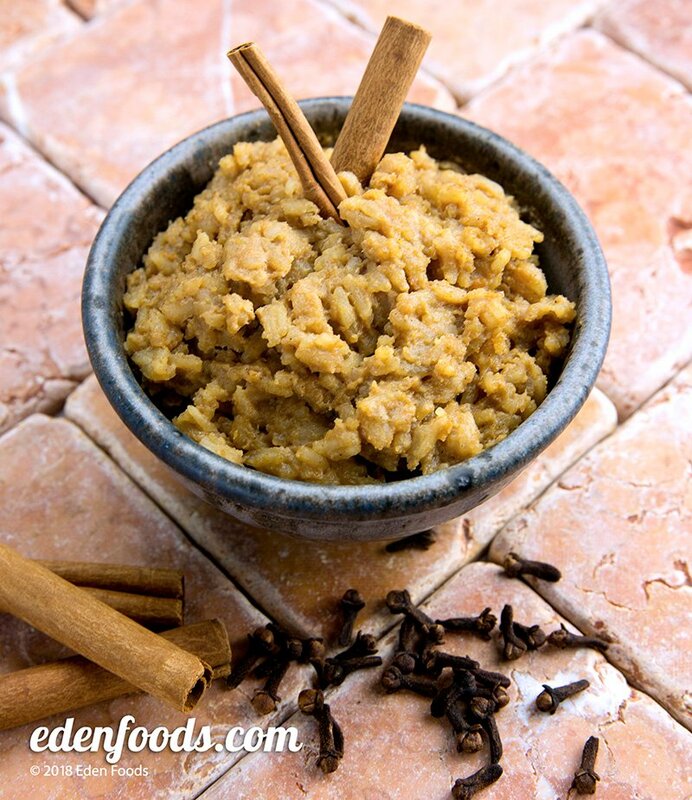 Bring Edensoy, cinnamon, cardamom seeds and cloves to a boil. Add rice, cover and turn down flame. Simmer for 1 hour. Discard cinnamon stick and cloves. Stir in nut butter and maple syrup. Serve warm or chilled. This can be prepared in a crock pot at night for a delicious morning hot cereal.